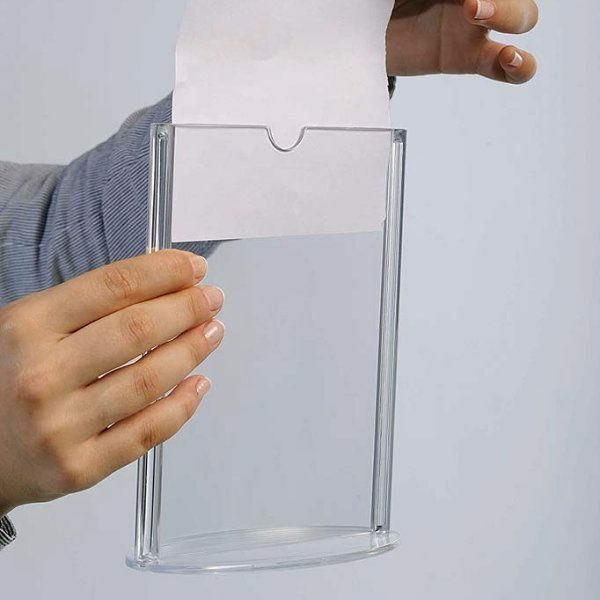 Modern style leaflet holder is light and affordable. Unit is injection molded. Clear and double sided. 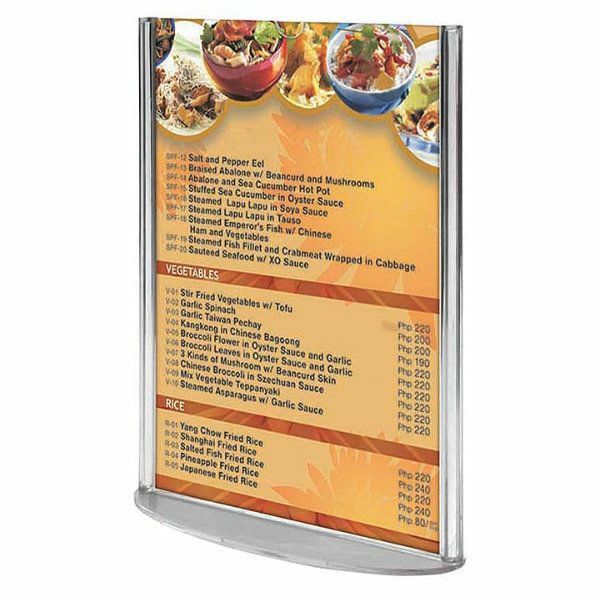 Suitable for use as menucards in restaurants as leaflet holder in shops and any commercial environment. Personalised countertop sign holders have a long standing reputation as an effective form of advertising in a range of commercial settings. 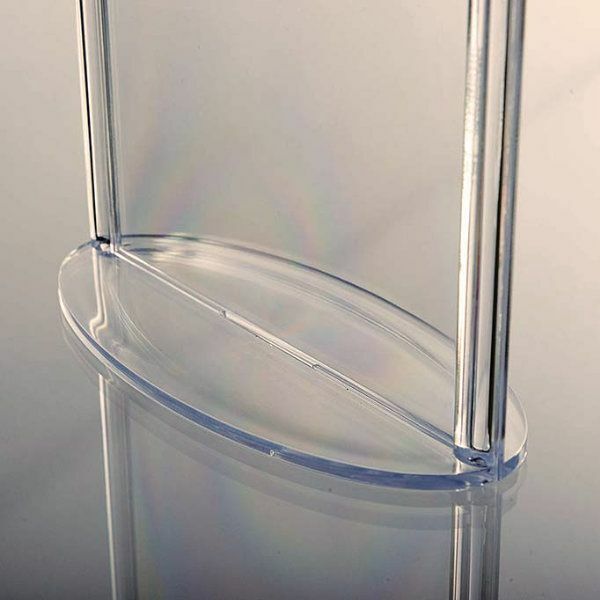 This table tent offers a contemporary alternative to the traditional countertop sign holder without compromising on the reputable points of quality, effectiveness, or user-friendly application. One of the greatest advantages of the new table tent is its unparalleled affordability. 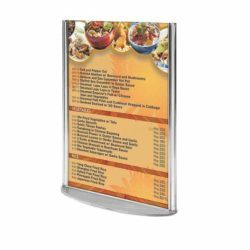 The 5″ x 7″ menu card holder is manufactured using lightweight economical plastic based materials that achieve a high aesthetic, high quality product at a low cost. Furthermore, the dimensions of the sign holder conform to a print size that can be replicated by any standard printer. While some businesses may opt to employ the services of a local printing company for large print orders, one of the greatest uses of the 5″ x 7″ table tent is that it offers the opportunity for self-regulation of print and design production. If a single display sign is damaged or requires replacement, the user can reprint the signage themselves, ensuring quality control and a rapid turnover of maintenance activities. 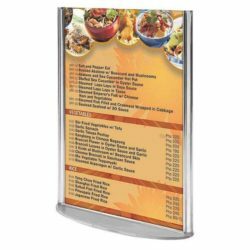 In addition to offering self-regulation of sign printing, the 5″ x 7″ restaurant menu holder also ensures ease of use with its effective top frame access. The upper lip of the frame, as supported by a finely designed thumb notch, simply separates under your control, allowing old graphics to be removed and new graphics inserted. All that is necessary is for menu cards, or other display items, to be slid in through the top of the frame. The ultimate result is that advertising content need never become stale or outdated as the table tent design supports constant rotation of promotional graphics. The sign holder is designed with a sleek, sophisticated, slim-lined contour, finished with an oval base. The presentation of the display unit ensures the frame maximises advertising potential while seamlessly integrating into any office or commercial space. 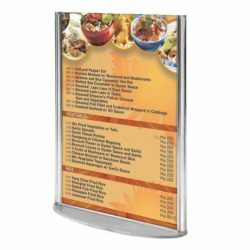 The acrylic literature holders are more commonly known for its use in bars and restaurants to provide patrons with information regarding daily specials or drink menus. The sign holder , however, is highly versatile and adaptable to an infinite number of advertising spaces. For instance, the table tent may be used in hotels, retail outlets, offices, gyms and any other number of commercial environments. The important thing to remember is that the table tent has not been manufactured with a single function or use in mind; its key advantage is that it offers a universal design that will adapt to your needs and your requirements for any targeted advertising activity. 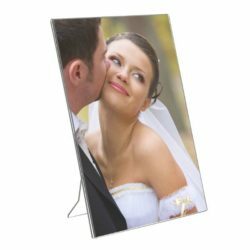 The countertop sign holder is available in a range of dimensions other than the standard 5″ x 7″ picture frame. It may be purchased as a 4″ x 6″ or 8-1/2″ x 11″ display unit with many more options available for consideration. Simply have a look at our easy to navigate website to find the sign holder that is perfect for you and your business needs. 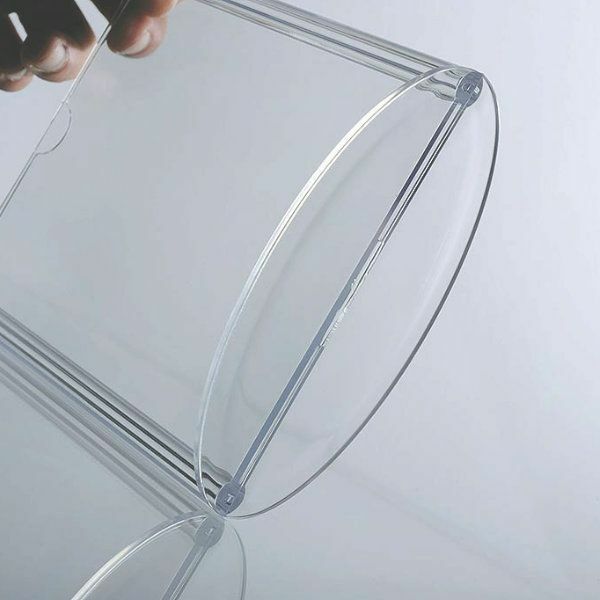 There are literally thousands of acrylic literature holders options available for purchase, each guaranteeing consistency in quality and cost-effectiveness. All menu card holders have been constructed with the same transparent, mold-injection plastic structure. 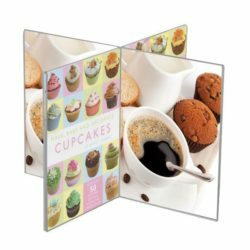 The acrylic literature holders create a double-sided menu card holder for optimal communication and advertising potential. The precise positioning of the acrylic literature holders is of little importance as the clear, double-sided plastic frame offers a 360 degree style promotion where clients and customers will always feel engaged with the display content. The table tent achieves high visibility and scope for diversity with the unique opportunity to promote multiple products within a single frame.